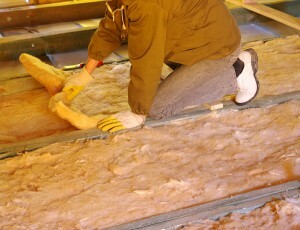 If you need insulation contractors to take care of insulating your home in Dayton or elsewhere in Ohio, turn to 31-W Insulation. Our highly experienced installers provide superior workmanship in making sure every possible point of heat transfer is sealed for the greatest protection from outside temperatures. That will allow your HVAC system to be able to maintain the comfortable temperatures you want, year-round, without needing to strain as much, helping to maximize your energy efficiency and reduce your carbon footprint. And, when you have old insulation that may have been collecting moisture in your walls, replacing it will reduce the risk of mold and mildew growing in your home. Also, because we want the new insulation our contractors install in your home to be the most effective possible, we only install insulation products from the best manufacturers around. With trusted names like Owens Corning® and CertainTeed, you can be sure the insulation we install in your home will continue to help with comfort and energy savings for a long time. If you live in Dayton, Ohio, or the surrounding area and would like to know more about how our insulation contractors can help you, contact 31-W Insulation today.